Just in case delicious gyros, fresh skewer meals, and amazing baklava aren’t enough to bring you into a restaurant. 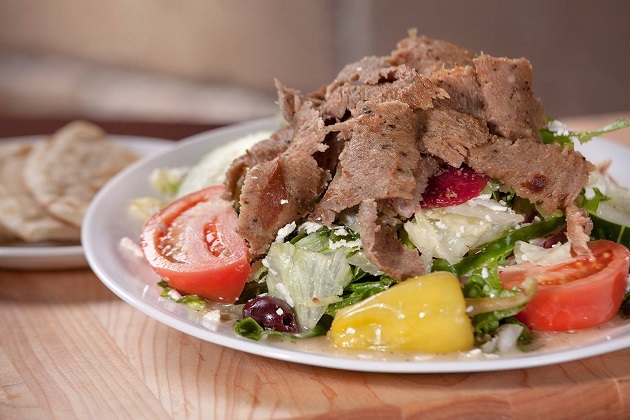 Little Greek Fresh Grill is providing even more incentive to its customers. During the month of October, the restaurant is “thinking pink” to show their support for breast cancer awareness. They’ve donated proceeds from their dessert sales to support the Real Men Wear Pink of Tampa organization. This foundation directly supports the American Cancer Society to bring more awareness to the harsh realities of breast cancer and the families that it affects all around the world. Also, staff from Little Greek Fresh Grill who live in the Tampa Bay area were able to participate in the Making Strides Against Breast Cancer event. With 37 locations scattered throughout six states, you might think of Little Greek Fresh Grill as just another franchise, but it’s so much more than that. In fact, Little Greek restaurant is locally owned and operated which means customers still get the opportunity to support Florida families and local business owners. Mr. Vojnovic believes that giving back to the community is extremely important which is why the Little Greek “Think Pink” campaign is not the only philanthropic event they support throughout the year. Little Greek also gives to charities such as Autism Speaks, American Diabetes Association, Shriner’s Children’s Hospital, and more. Maybe you haven’t had a chance to visit Little Greek Fresh Grill yet. The Lakewood Ranch location opened in January 2017, making it less than two years old to the 941 community. So, if you have tried this place yet, now is the time! There’s something for everyone here, and you’ll be supporting a company that really gives back to the community. Whether you live in Manatee or Sarasota County, this treasured restaurant is conveniently located on Market Street in Lakewood Ranch amid the plazas and shopping centers. So, if you need to do some shopping or you just want to try some fresh Greek-American cuisine, Little Greek Fresh Grill won’t disappoint. Just don’t forget to save room for dessert because the restaurant is known for its warm baklava and homemade rice pudding. Little Greek has several locations in Tampa Bay and Pinellas County, plus their new Lakewood Ranch location in Manatee County. Their menu has lots of delicious options and you can order online too!